The small book below is a short read and it’s our gift to you. Will you take a moment to explore the great news of the Bible that most religions completely ignore? It’s a subject that has eternal implications and it’s worth taking a few moments to consider. 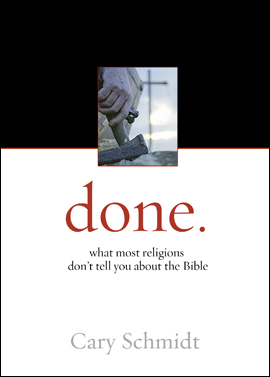 Done by Cary Schmidt explains the key difference between what most religions and the Bible say about salvation, and explains how you can know from the Bible that you have peace with God.